It’s Christmas in just 25 days! We believe you must have decided on the Christmas party theme by now. The dress and the dress would be ready as well. But what about the nails? Are you thinking of going for the boring red nail paint? If yes, then we’d suggest you to drop your idea right now! 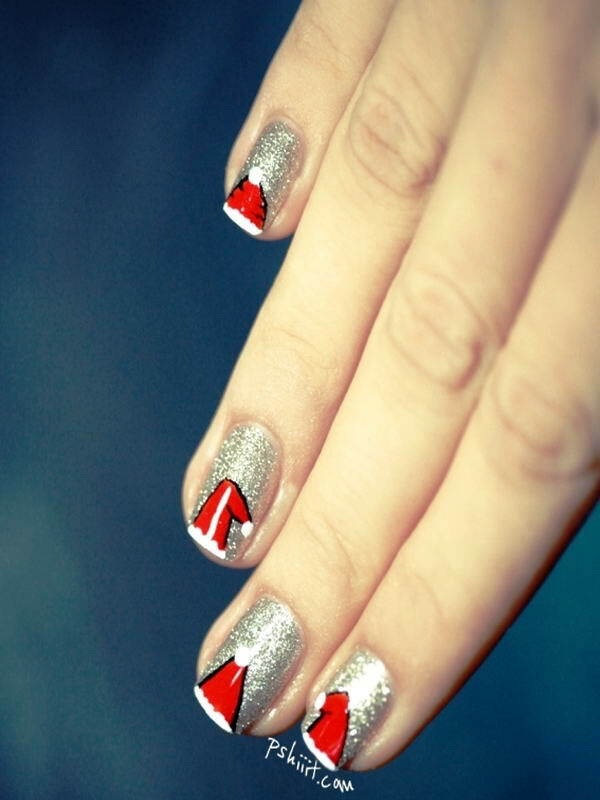 A lovely Christmas party and a stunning Christmas dress calls for some stupendous nail art. 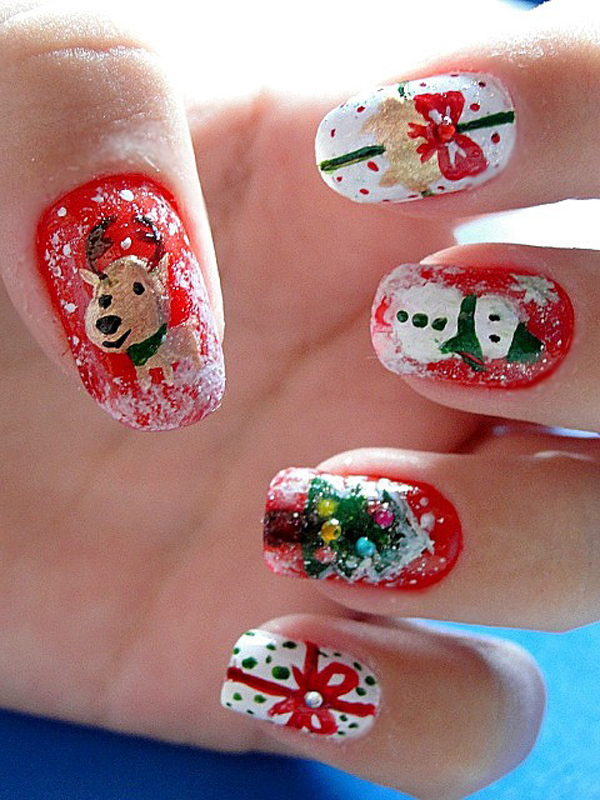 Here are 51 Christmas nail art ideas that will give you a cheerful look this season. 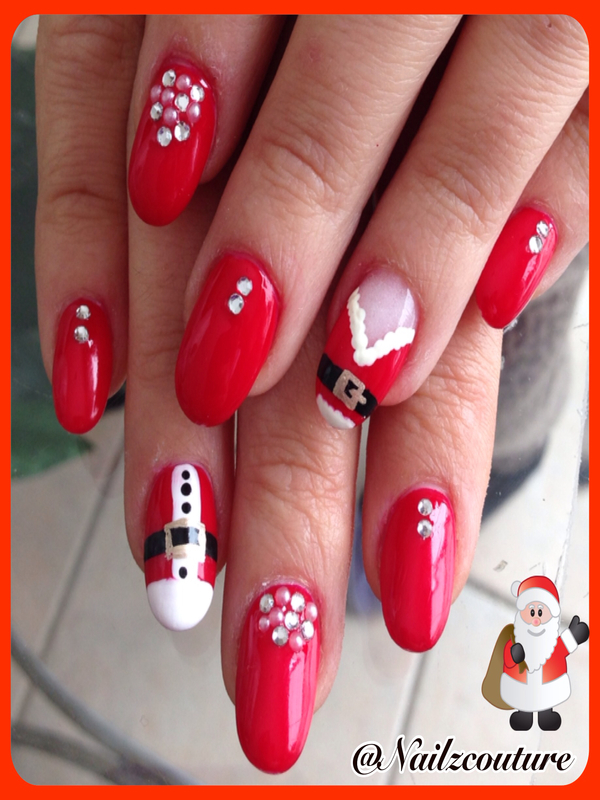 Red and white nail art designs are customary of Christmas. You can opt for this nail art design without giving a second thought, as it will always remain in vogue. 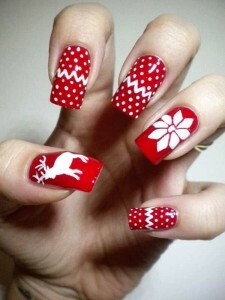 This red and white nail art design incorporates a neat reindeer too. 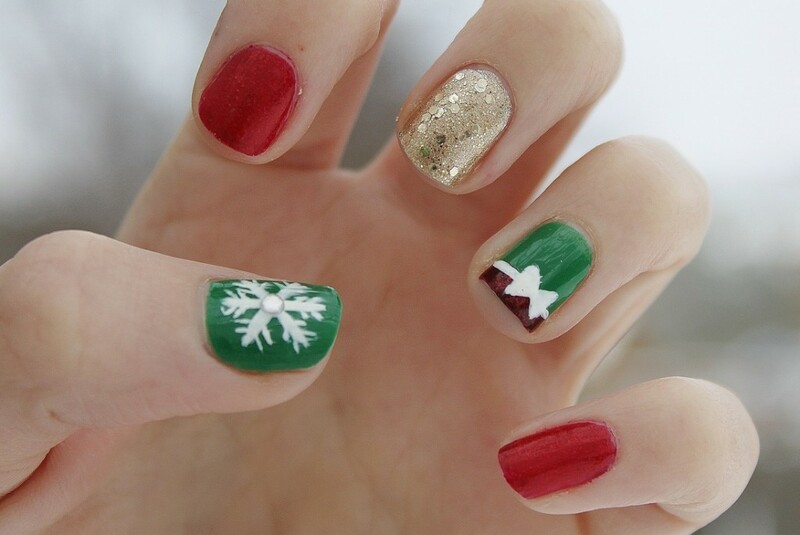 Here’s a beautiful red and green nail art idea for you. The white bow and snowflake on green base and the golden accents are looking very beautiful. 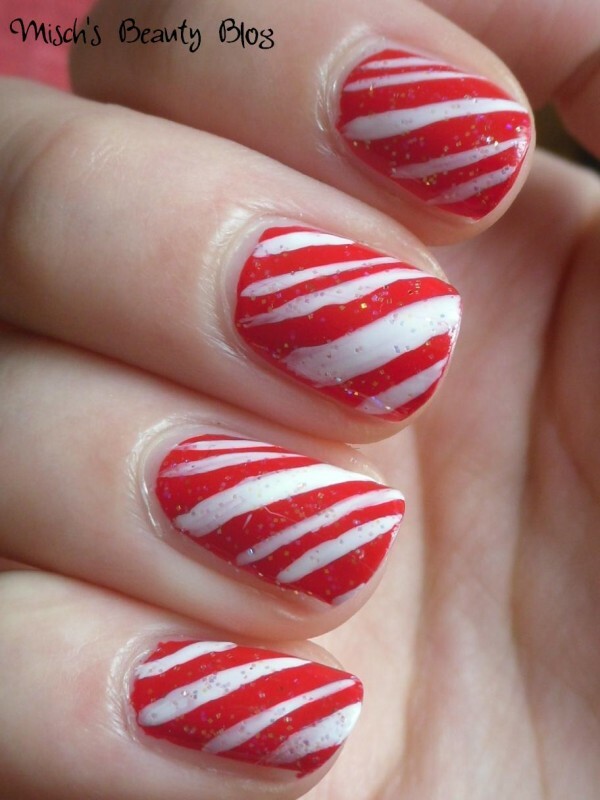 This one is a bit different from regular candy cane stripes nail art. We totally heart it. This snowman is too cute. We even loved the snowed-under effect for the rest of the nails. Don’t have a super fine nail brush? Then use a Bobby pin or a toothpick instead. 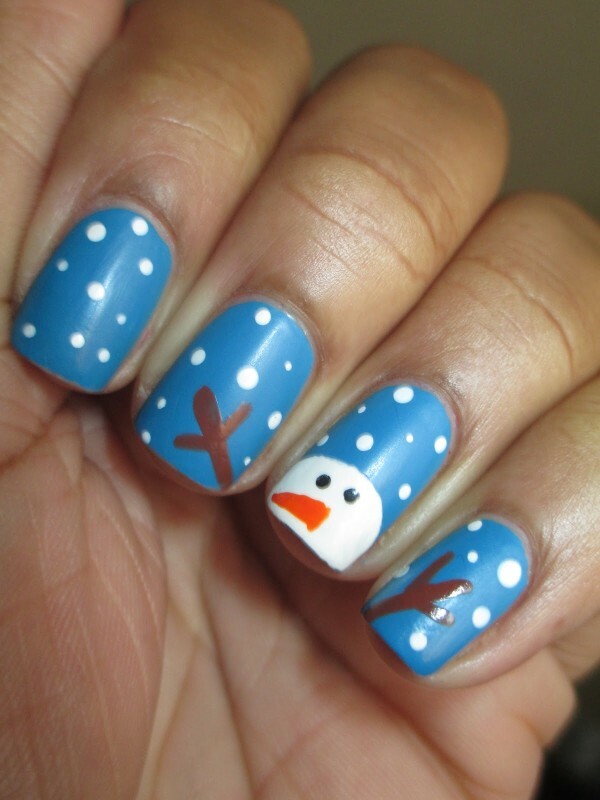 Here’s another lovely snowman nail art. More than the snowmen, we loved the white pine tree. These two together are just too adorable. 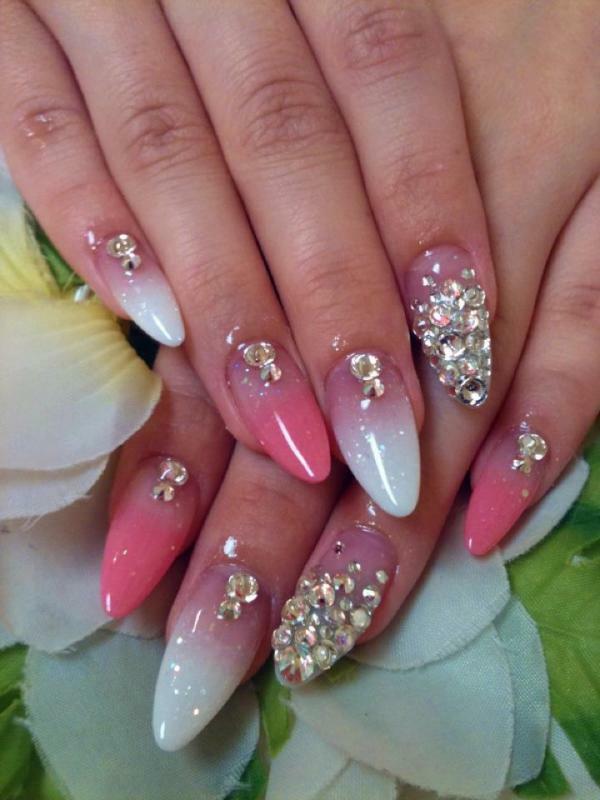 But we’d suggest you to make just one art as an accent nail. If you want a minimalist approach with clean lines, then go for these metallic trees. 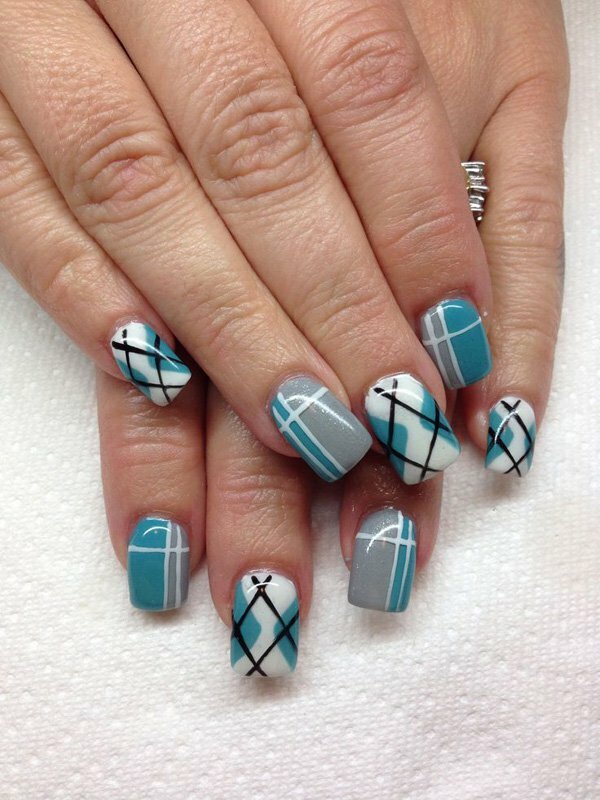 You have to keep the masking tape handy to pull off these nail art. It may seem hard to believe, but this nail art is actually easier to make. Just take two thin strips of masking tape and you are good to go. Now you can decorate it any way you like. 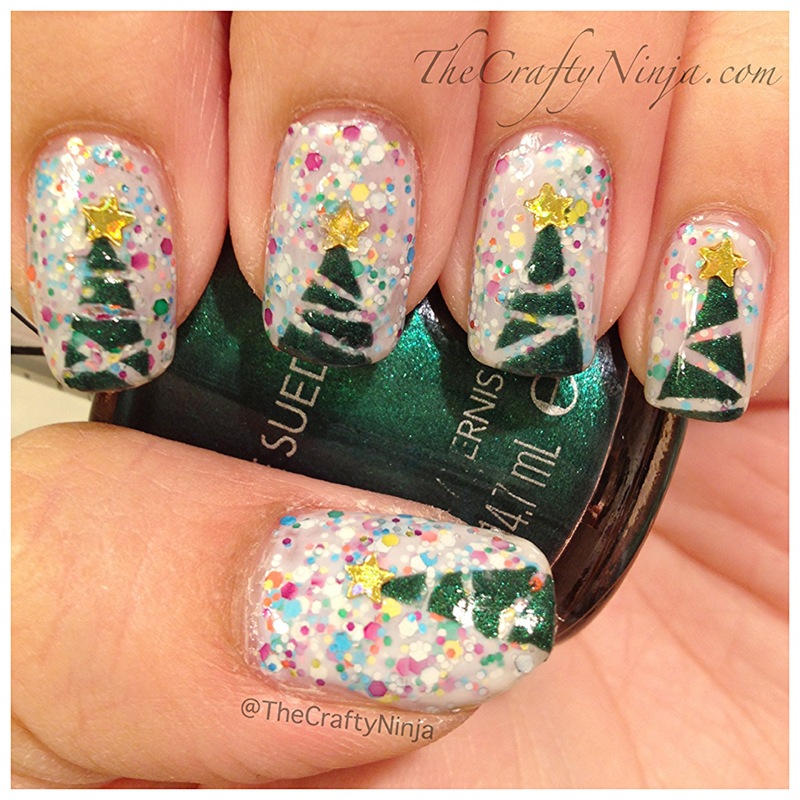 This Christmas tree nail art will take a bit more time than the previous needs, but it is totally worth it. 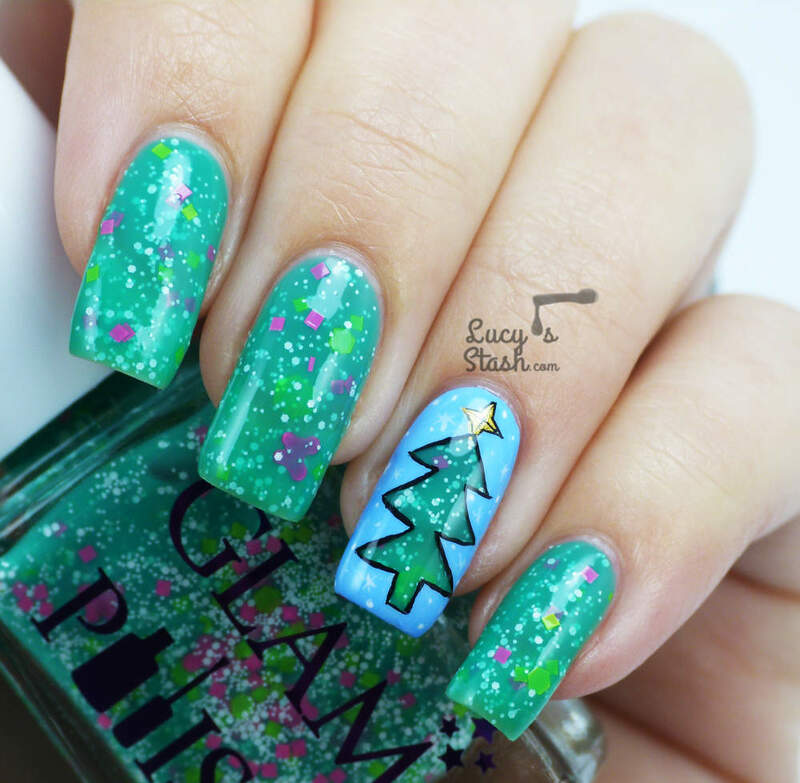 For this glowing Christmas nail art, you have to use glam polish as a base and paint the Christmas tree cut out with acrylic paint. 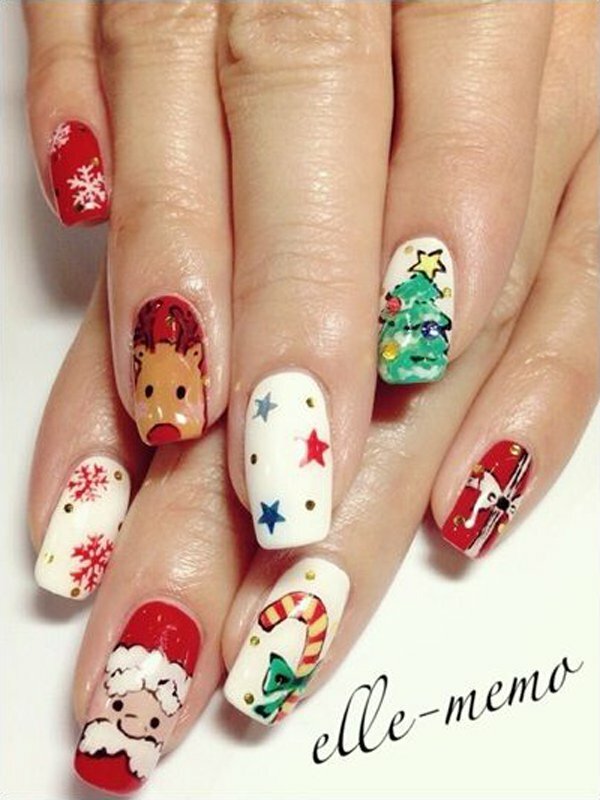 Apply the concept of French manicure, but use the Christmas colors instead. 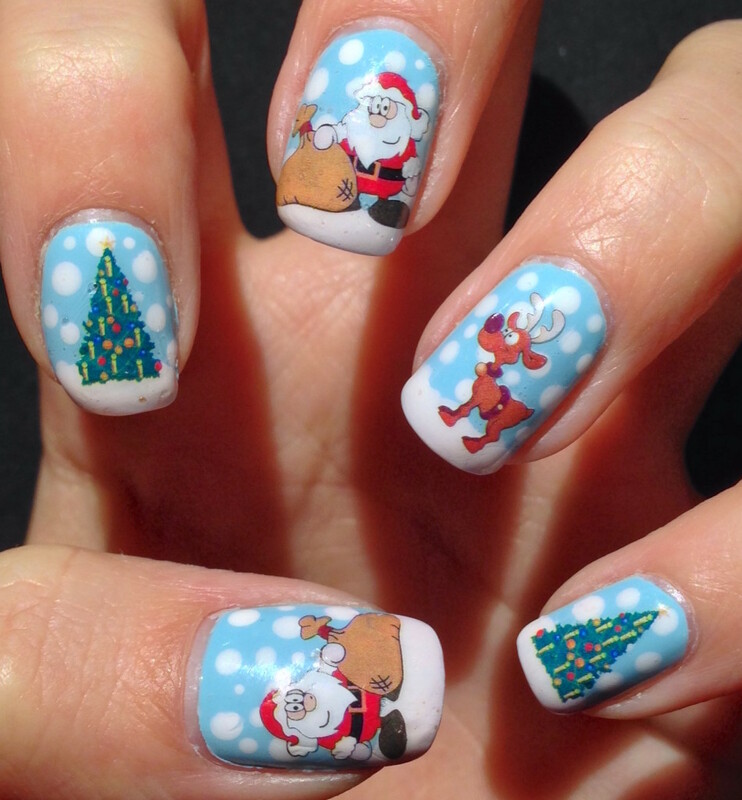 This Santa hat nail art is Christmassy without being too much in your face. It will work well with pastel colors too. We love mixing and matching, especially when it comes nail art. This neon nail art will surely grab some eyeballs. 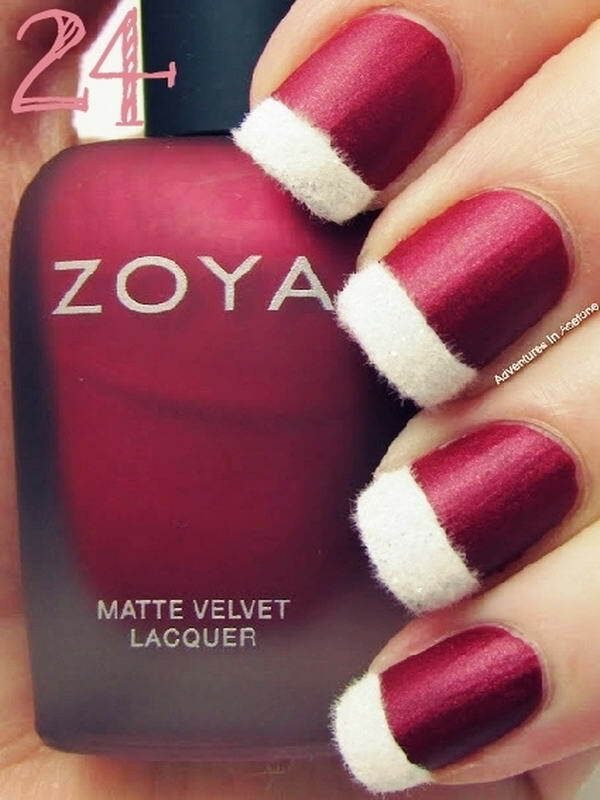 A little accent of holly on your well-manicured nails is the perfect detail to get you looking festive. With a simple color combination, you can get one of the easiest nail art. 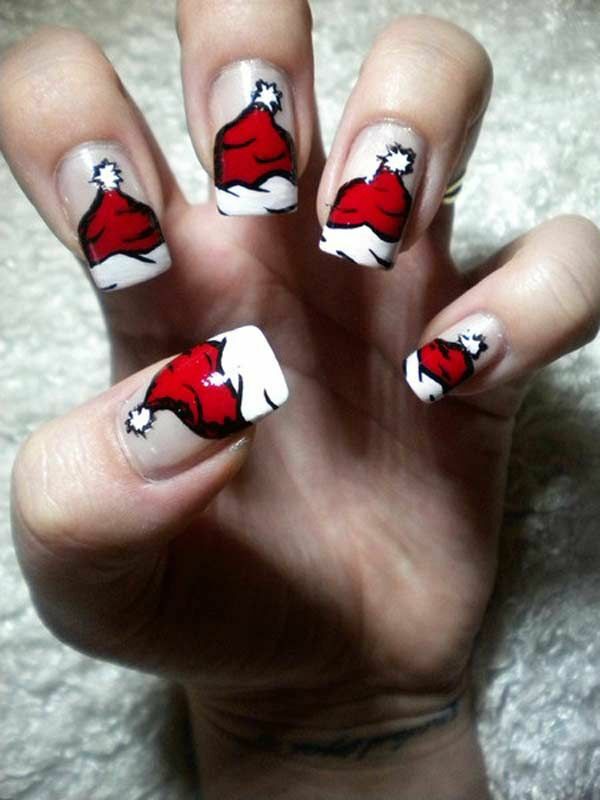 We have seen a number of Santa hat nail art ideas, but this one is my favorite. Very creative! 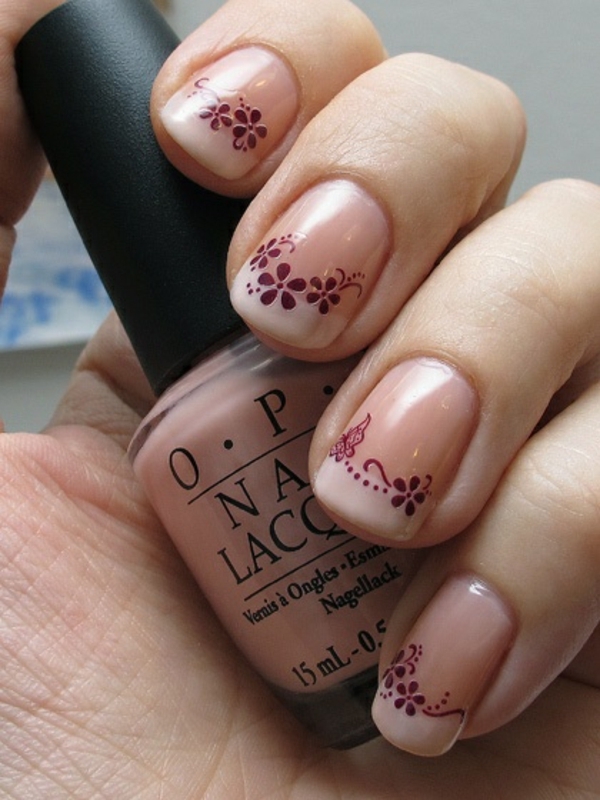 This nail art is perfect for those who like subtle sophistication. And a touch of sparkle will go a long way. If you have a steady hand, then you can try freehand nail art like these little gifts. And if you are on the shaky side, then the tape will do the magic. We all know the awesome technique of water marbling. So why not put to practice with some Christmas colors too? 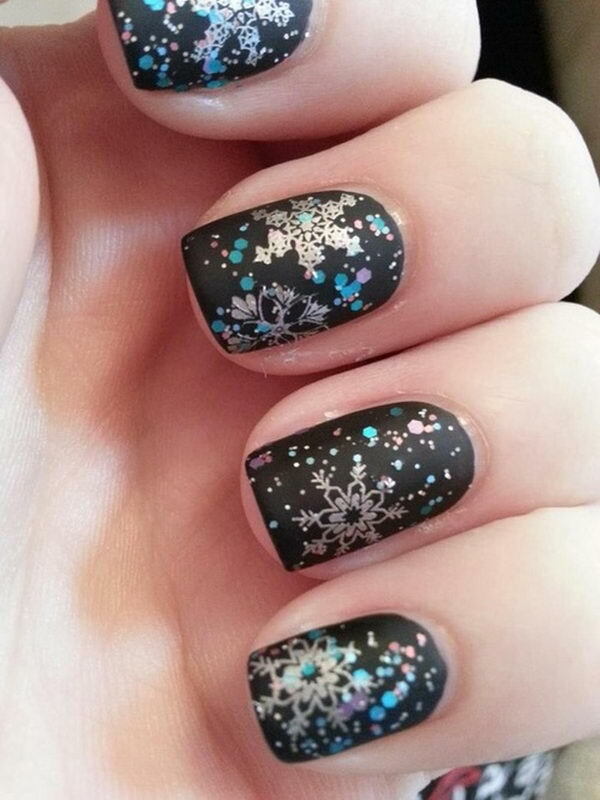 These snowflakes are ideal for a chilly Christmas. Feel free to experiment with the base color. You don’t have to go for traditional colors. It will look great on black nails also. Ok, we just love it love it to the core. It looks unique, yet magnificent. You are free to choose the color combination of your choice, but we think that red and green will look festive. Just because it’s Christmas, doesn’t mean you have to go overboard with the red and green combinations. A few red and green glitter on a beige and white base could give a perfect touch. 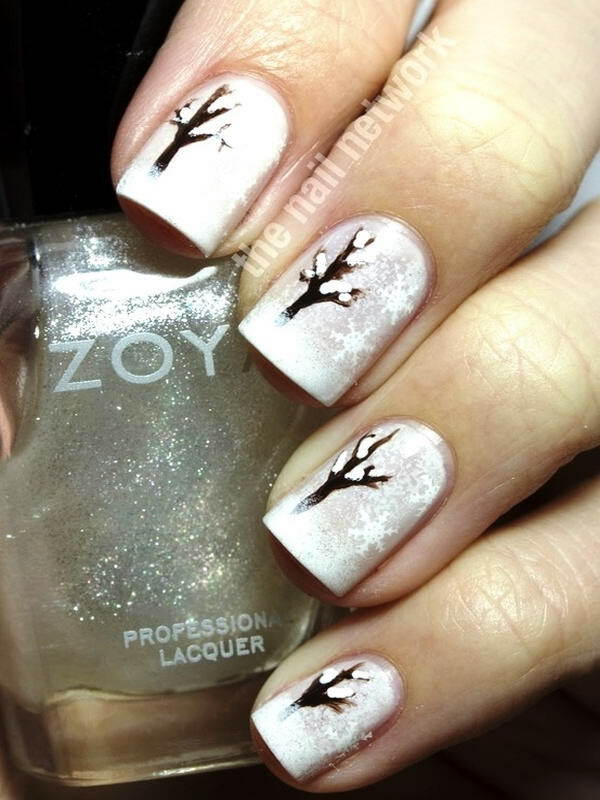 This nail art screams winter wonderland. The red, white and black color combination is looking very cool. And the Aztec print is making it stand out of the rest. 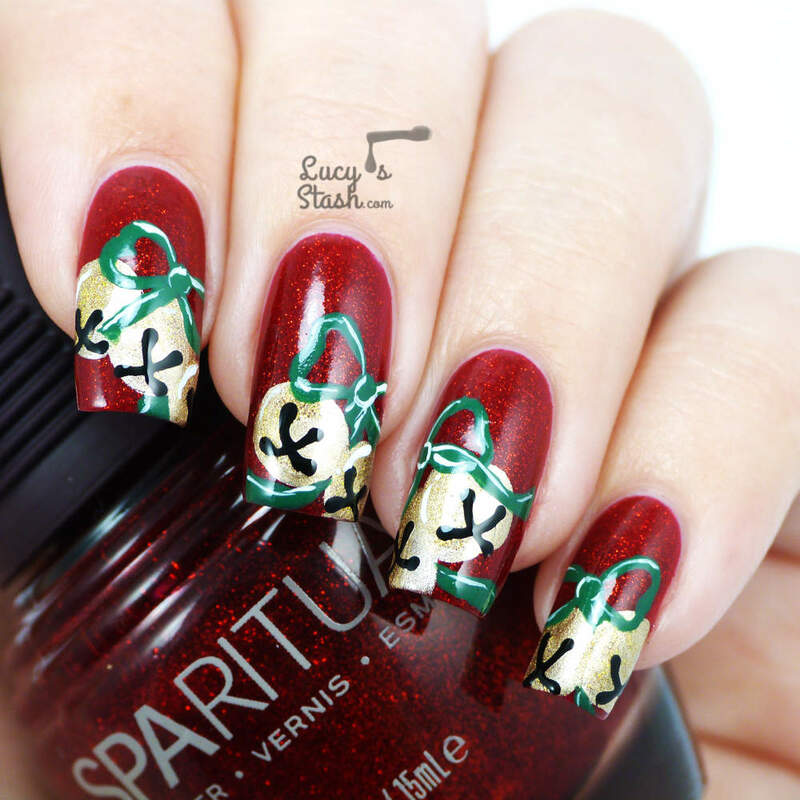 The creative blogger has included all the traditional Christmas symbols in her nail art- snowflake, reindeers, stars, Christmas tree, candy cane, gift package and of course, Santa Claus. 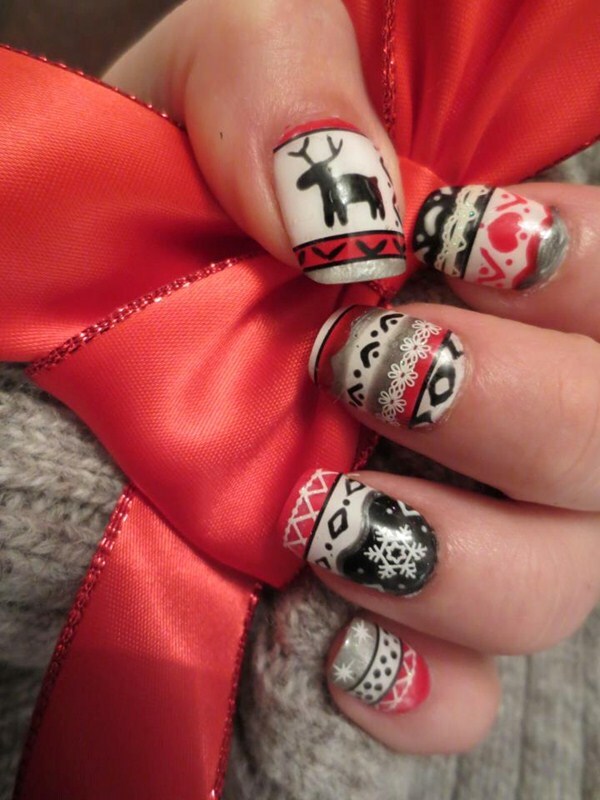 Here’s another Christmas symbols nail art for you to try. 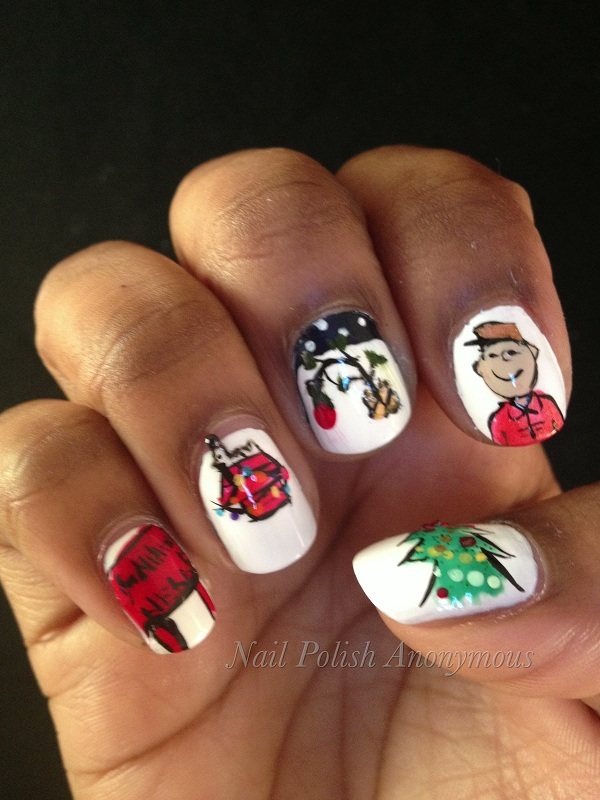 Here’s a beautiful nail art inspired by Charlie Brown’s ‘Christmas Tree’. Kudos to the blogger for such an amazing work. The artistic blogger decorated not just the house, but also her nails with Christmas tree, wreath, mistletoe, ornaments and lighting. Very unique! Who said you couldn’t try butterfly nail art for Christmas? 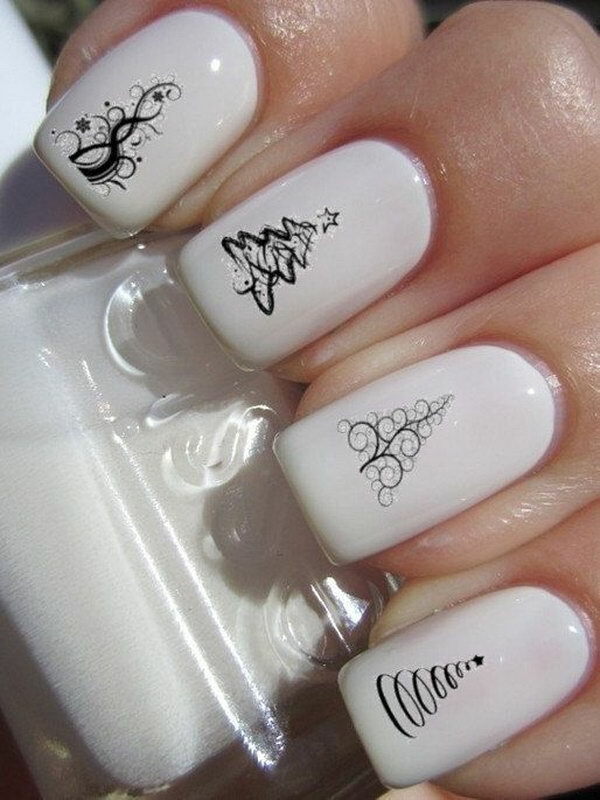 This versatile nail art looks great at any time of the year. 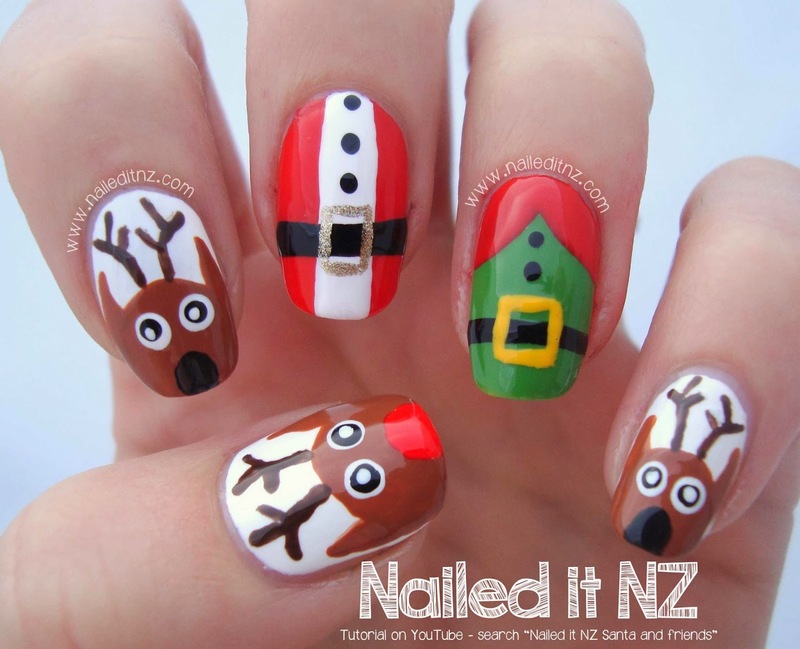 Santa hat nail art design is currently ‘in’ these days. The beige base is making the nail art look even prettier. 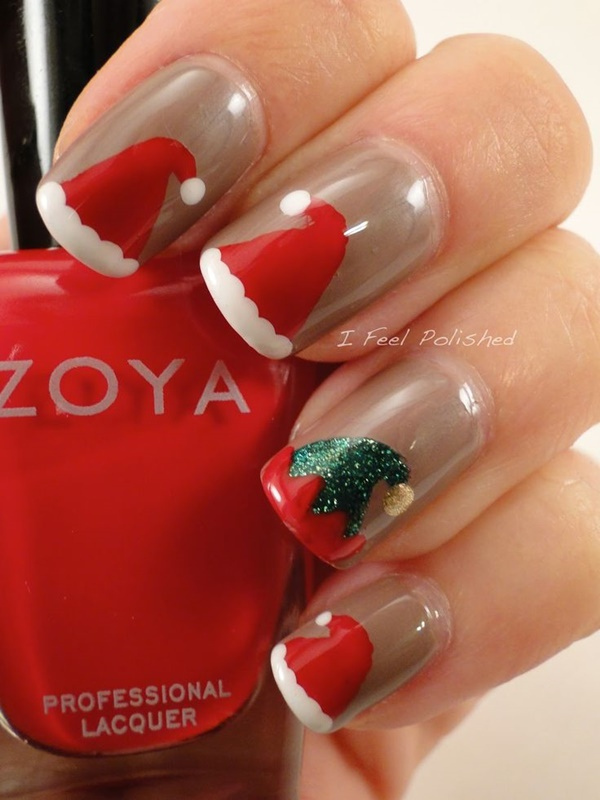 Here’s another cute Santa cap nail art design for you. The snowman here wants a warm hug from you. Can you embrace him by making a similar nail art? 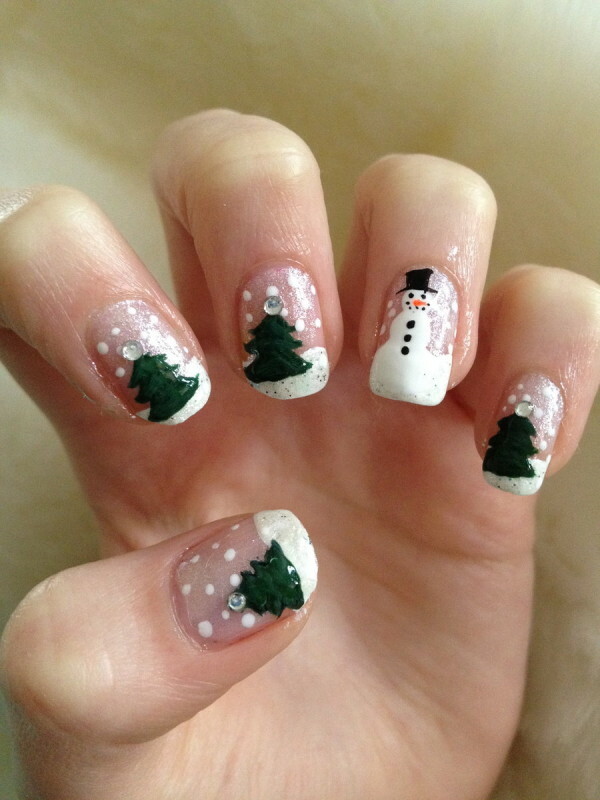 Here’s another beautiful French manicure, snowman nail art for you to try. 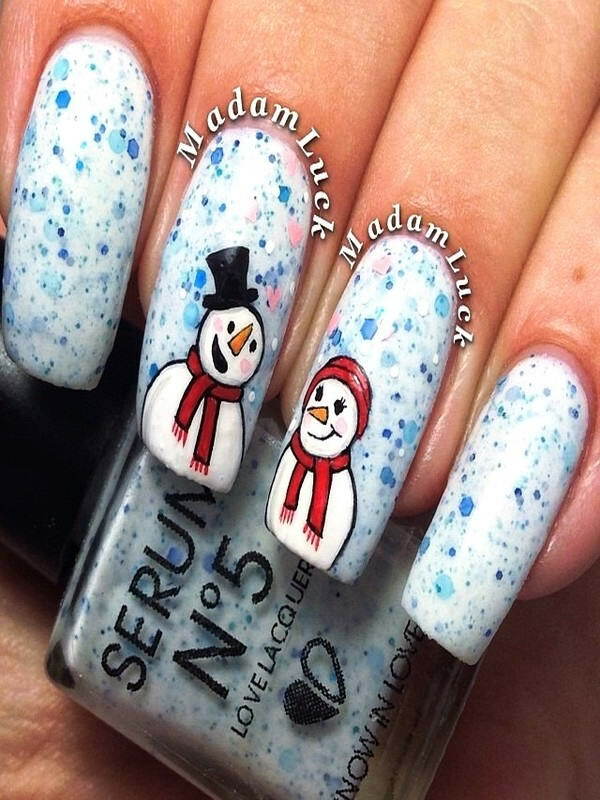 The author has made the snowman pattern just on one nail. 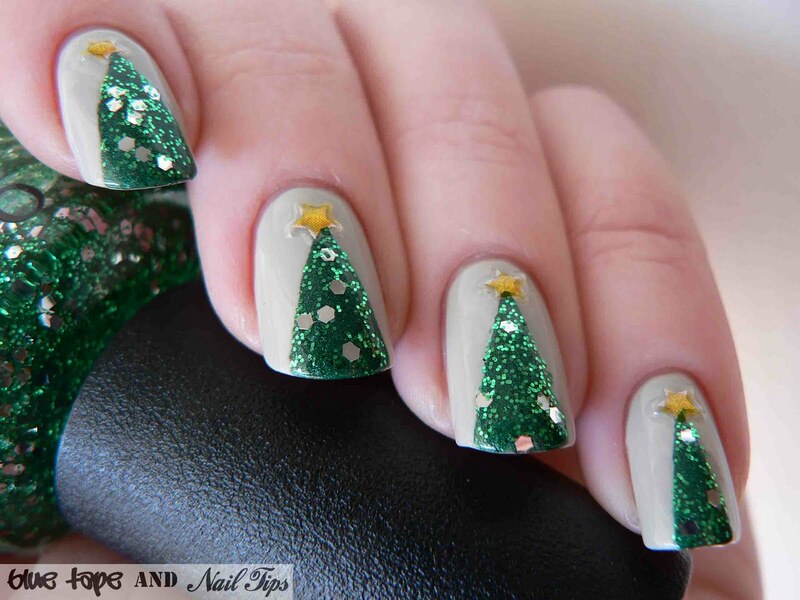 The rest of the nails are painted as Christmas trees. 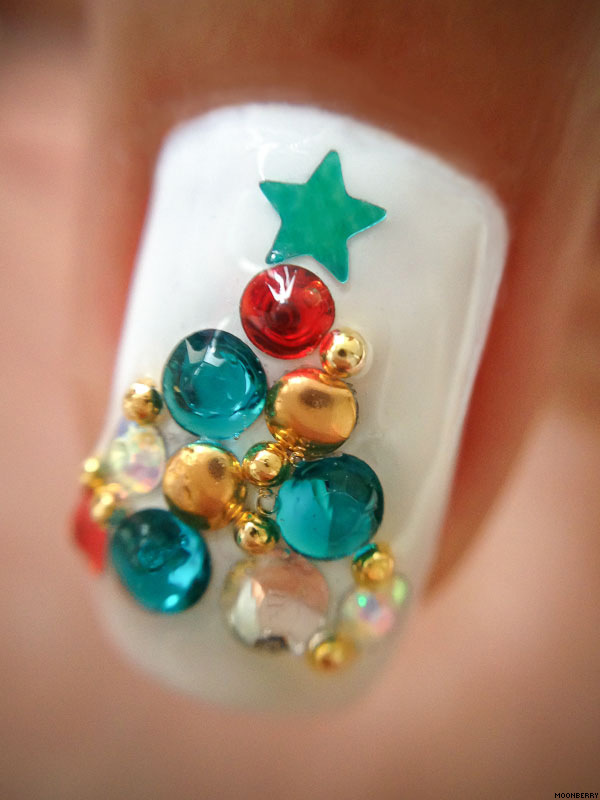 Jewel encrusted or embellished nail look great on Christmas. It’s the best way to transform a drab nail paint that has been lying in your stash sine ages. 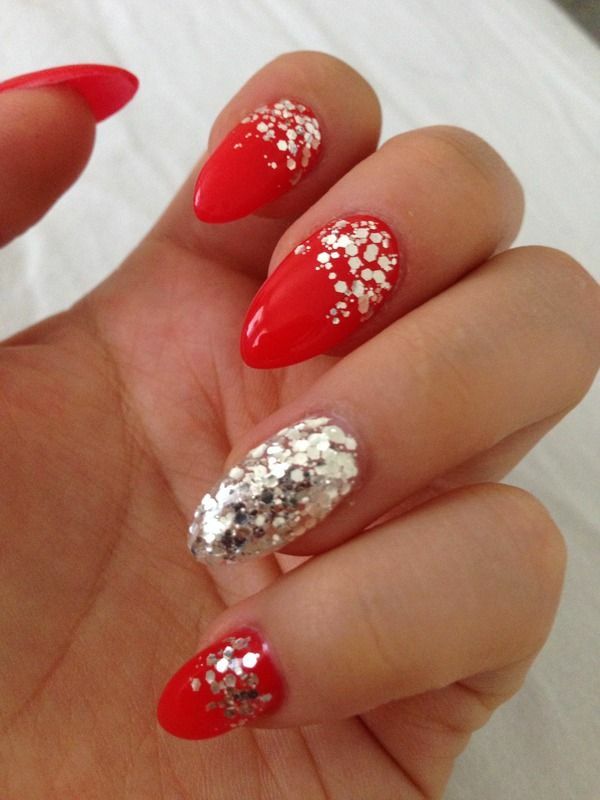 This red and white glitter nail art is elegance personified. The best part is that it is very simple to make. Paint one finger in white and the other in red. Apply glitter on the white nail paint generously. A little bit glitter on the red polish wouldn’t harm either. 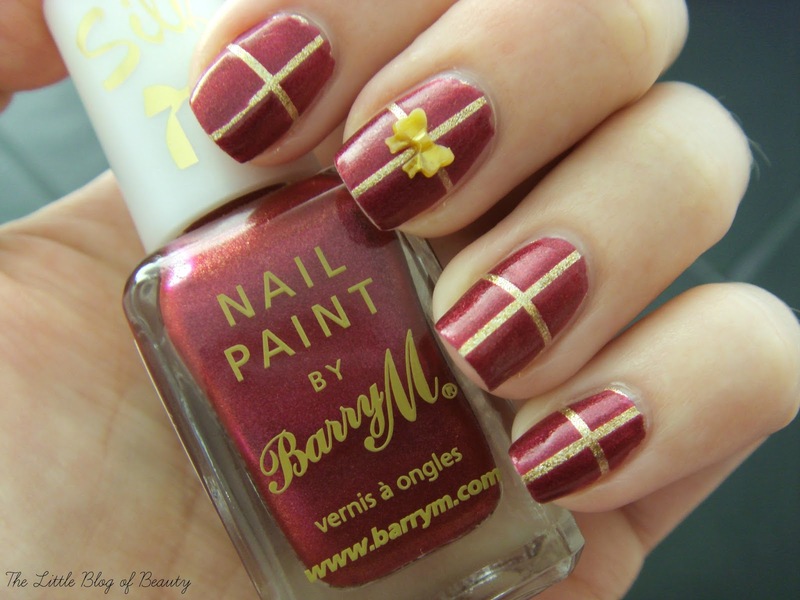 Here’s a glamorous nail art design for you. It has loads of glitter, crystal and other shiny stuff. The Christmas tree with a star adorning the treetop is looking amazing. 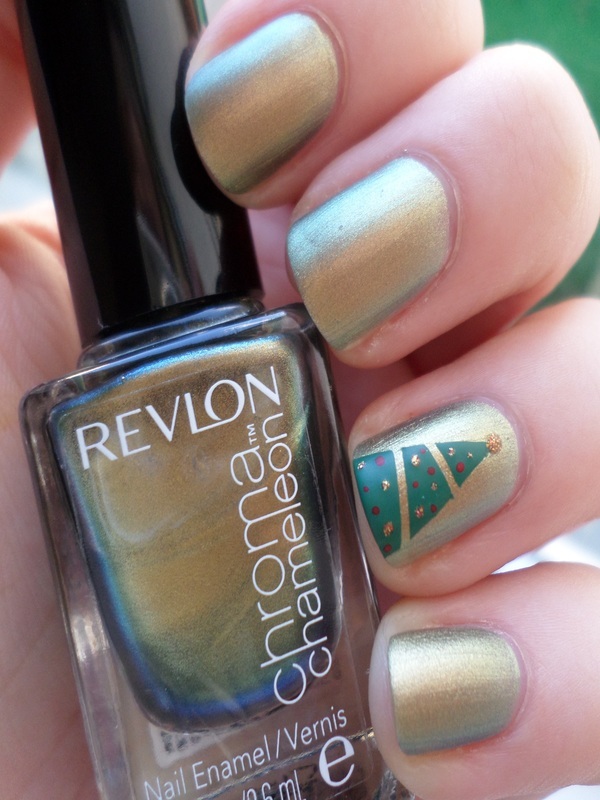 Here’s another glamorous nail art for your holiday manicure. 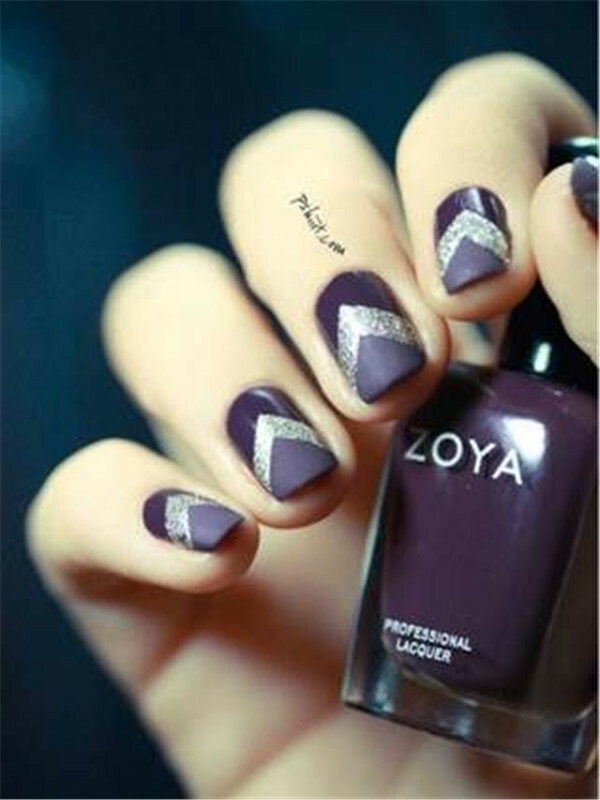 The two toned nail art spiced with rhinestones is looking scintillating. Snowflakes are one of the prominent symbols of winter. 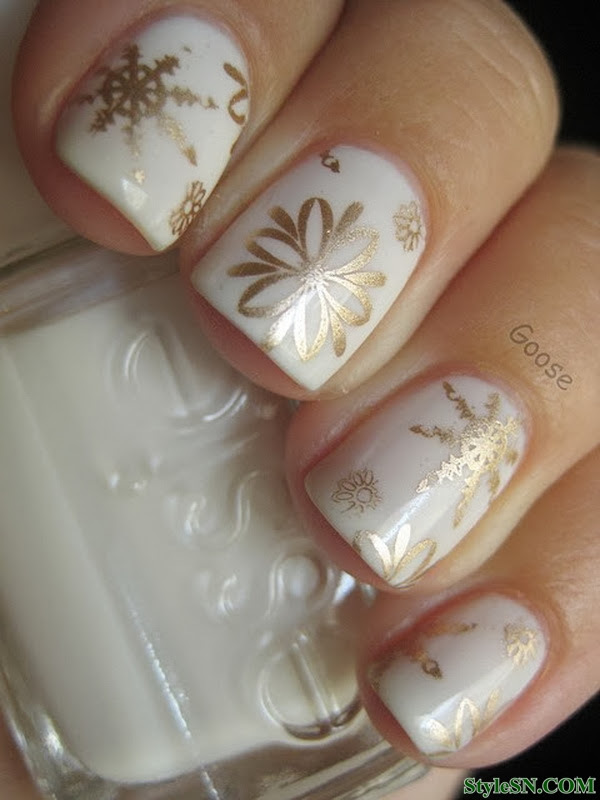 And the snowflake nail art makes even a standard manicure look like a beautiful piece of art, just like this one. 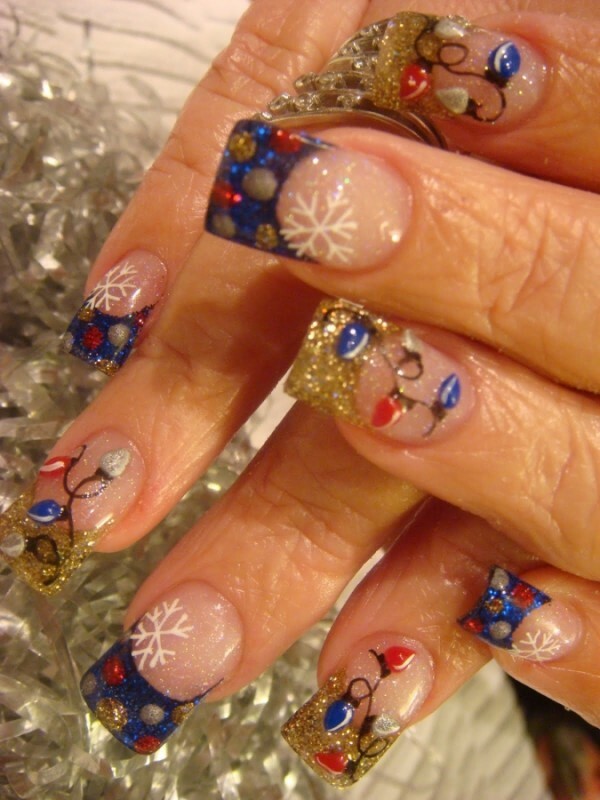 The nail art looks stunning with its snowflake and Christmas light pattern. 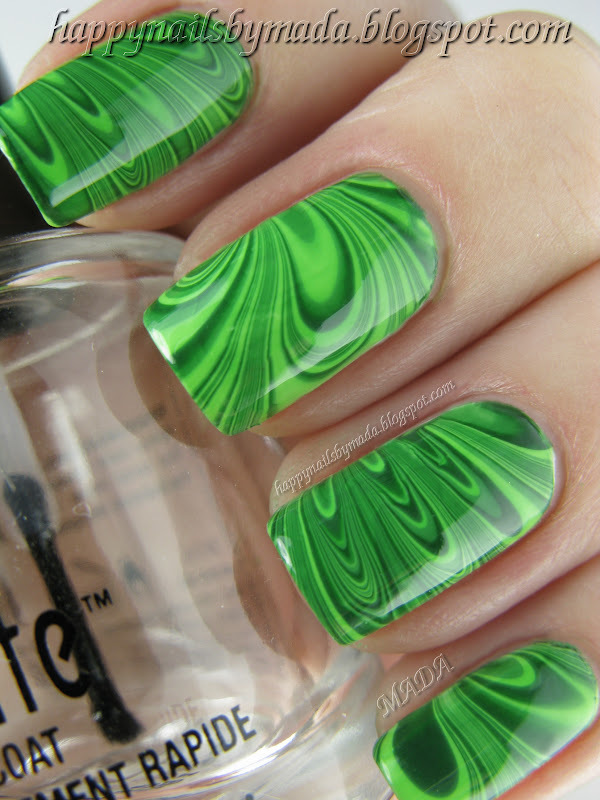 Wow is the word for this nail art! The gold and white combination is looking stunningly beautiful. This nail art is a French manicure with a twist. The nail art is looking elegant and classy in itself, but if you want, you can play with some colors too! This blue tip French manicure is making a fresh change from the regular white tips. Do you really need a description for this one? Isn’t the picture self-explanatory? Just a little note- This one is our favorite. 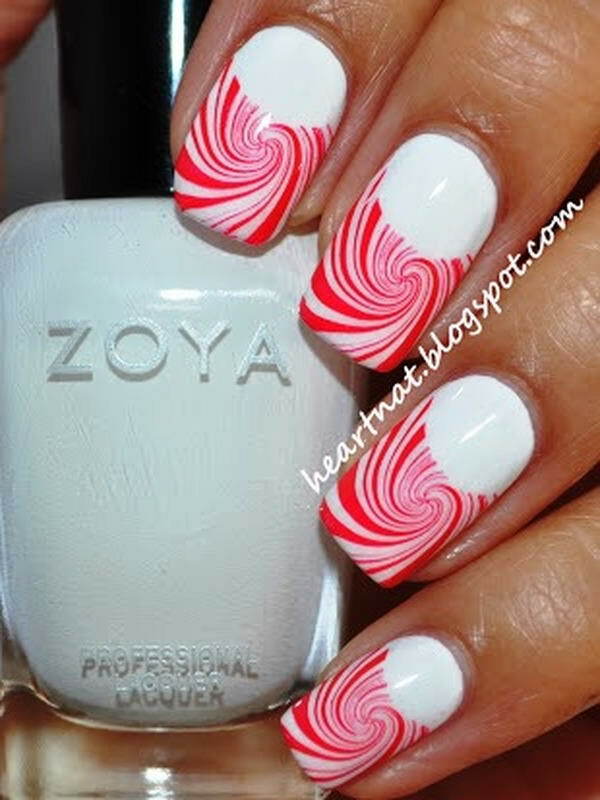 This candy cane themed nail art is looking simply adorable. 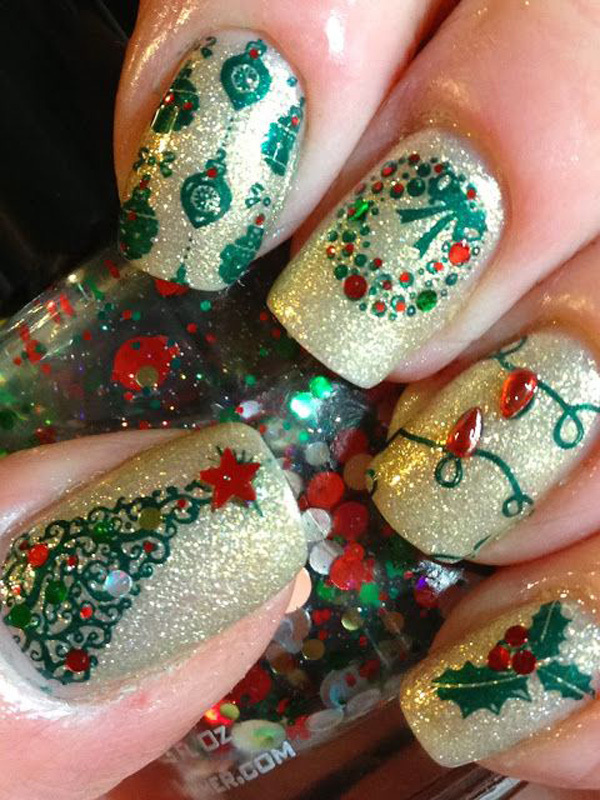 This one is so much unlike other standard Christmas nail arts. 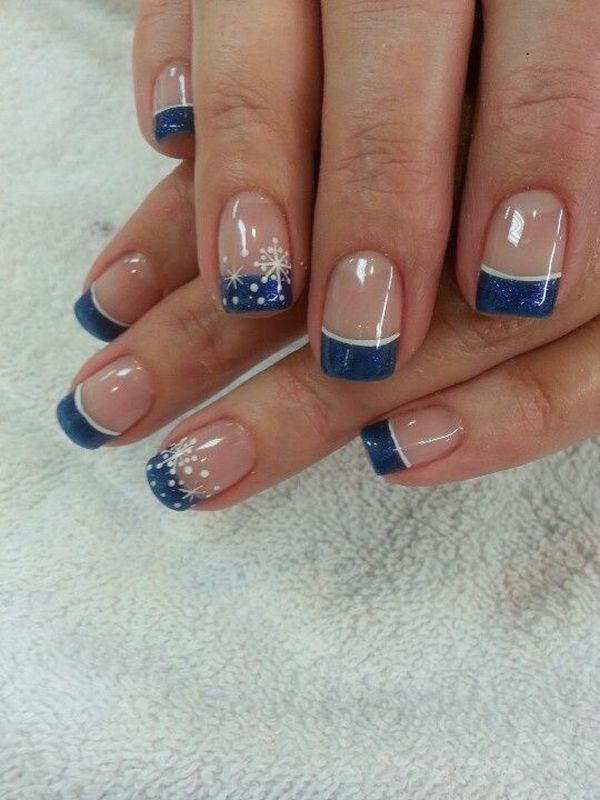 The color combinations of blue, white, black and gray are not just visually appealing, but also jump out of the nails. 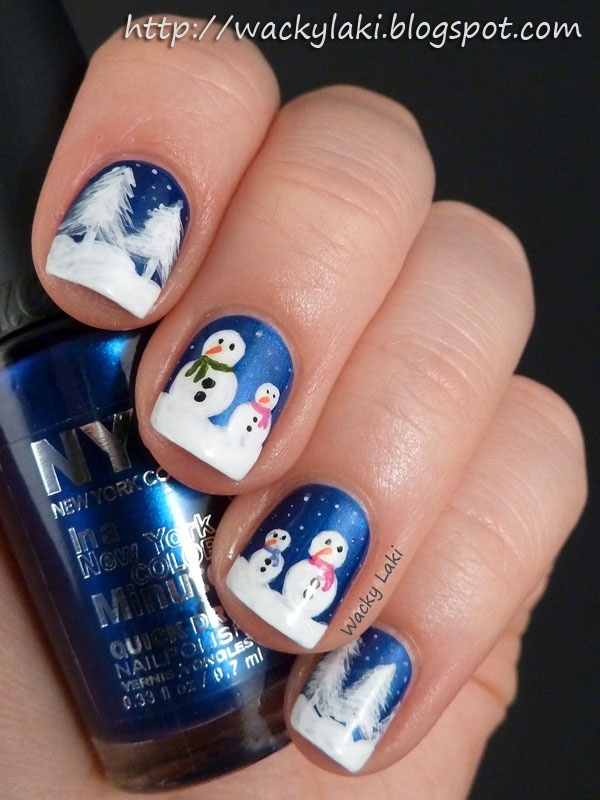 It’s snowing in this nail art and we love it! And believe me, it’s very easy to make. You just have to make snowflakes and a tree. Do not forget to add white dots to give an appearance of snow. 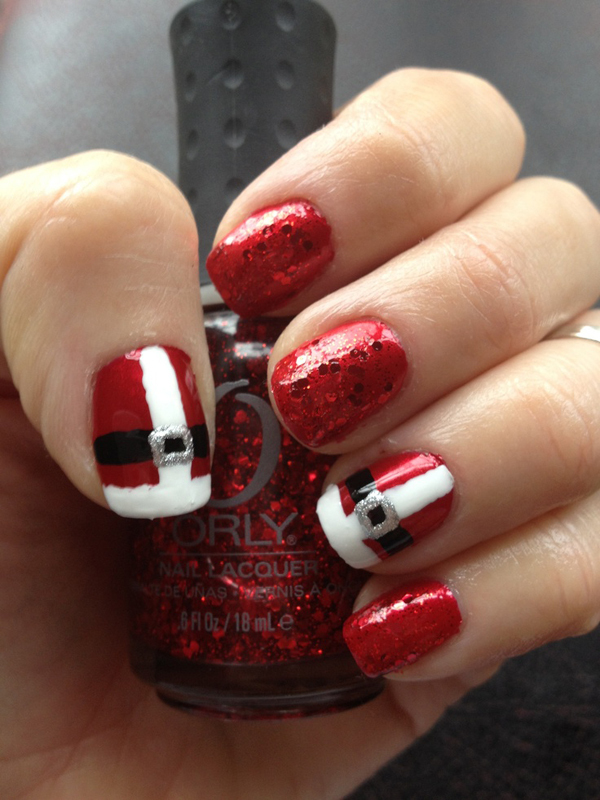 The blogger has made a fun nail art taking inspiration from Santa’s clothes. 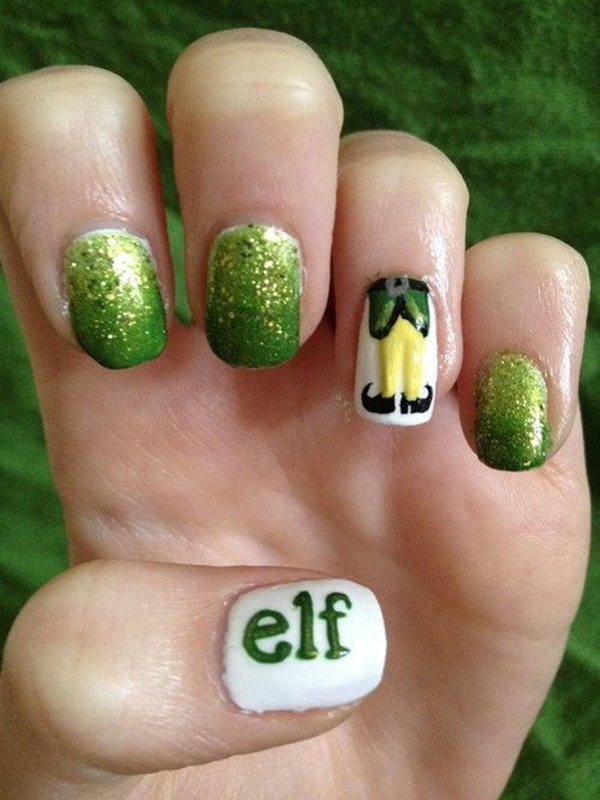 We can’t stop admiring the cuteness of this nail art. And the light blue base is making it look magnificent. 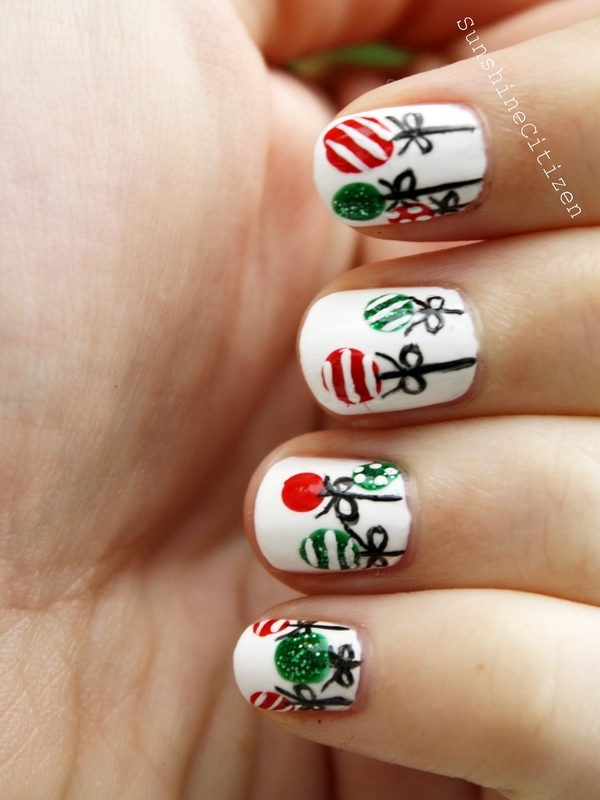 We loved how the blogger incorporated white as the base for the nail art. Did you notice the muffler? Isn’t it looking cute? Santa never looked so cute before, isn’t it? 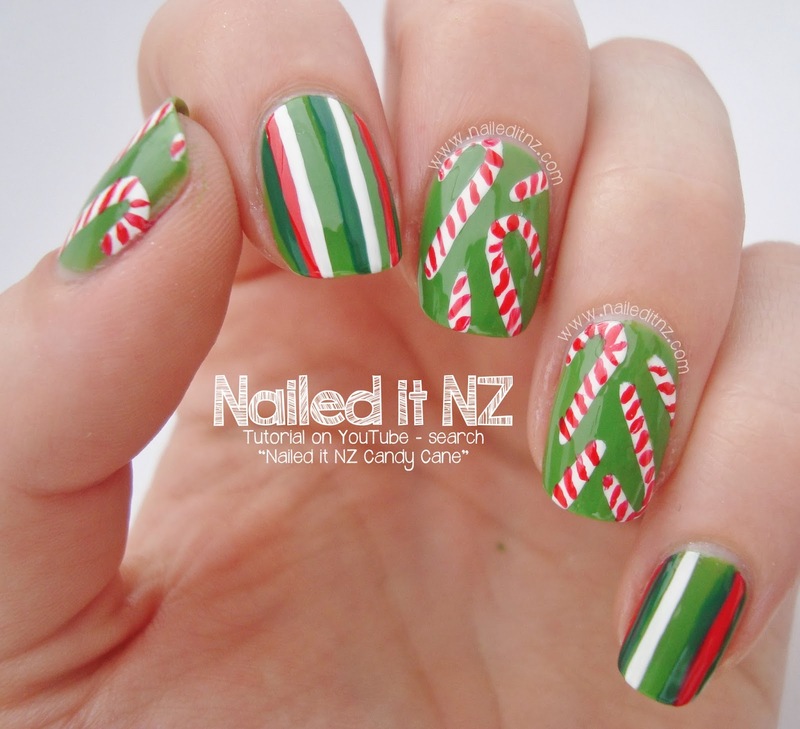 This candy cane nail art, mixed with green and red stripes is giving a bit of variation. 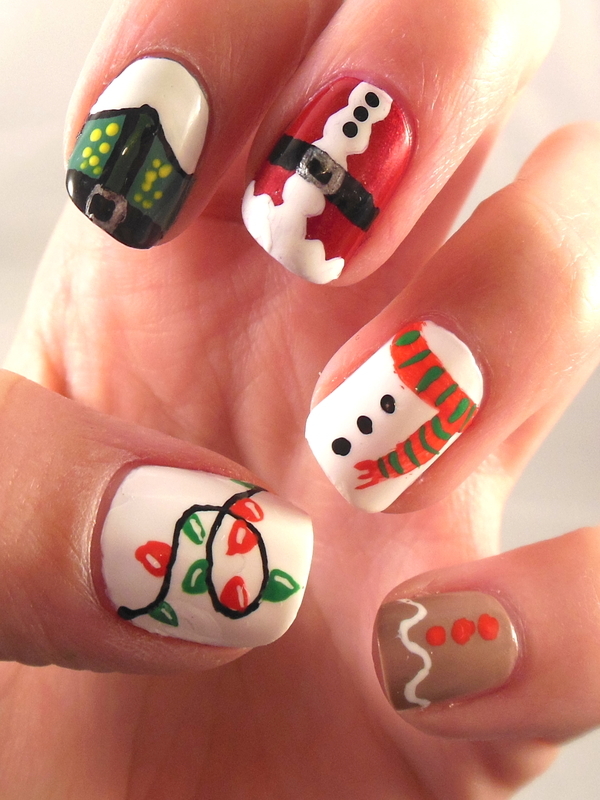 Jingle bells nail art is not a very common nail art, so this idea will rock your overall look. We cannot wait to try out these nail arts. What about you? Which of these nail arts are you planning to make this year? Tell us in the comment section below!